Cats are very inquisitive and playful creatures especially when it comes to shiny, small or decorative items. 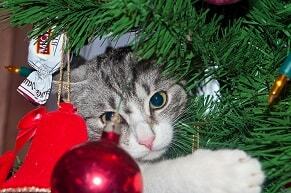 Our Christmas tree and gift decorations can be ingested by cats, known as foreign body ingestion, causing serious and fatal harm. 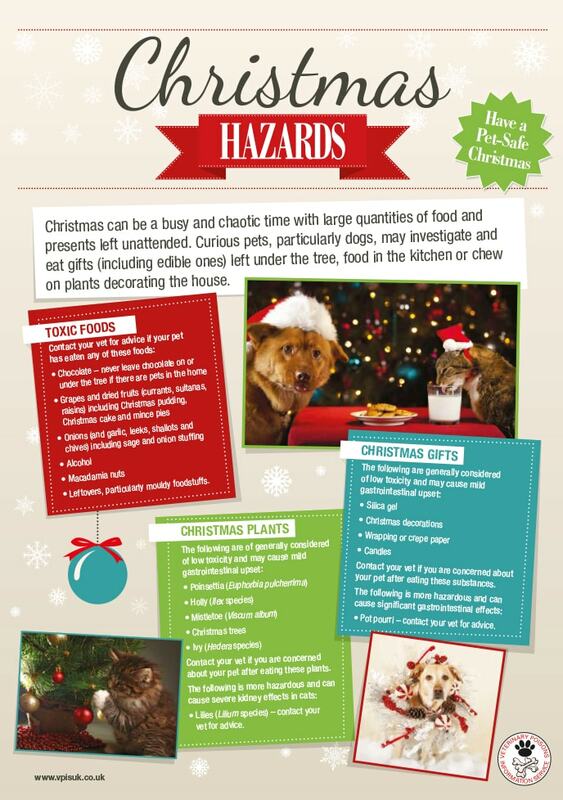 So what looks like harmless play with tinsel, sellotape, string, berries, nuts and other items could be dangerous. The International Cat Care website has lots of very helpful information, informative videos and pictures to help you learn more about how to care for your cats, keep them safe, and understand foreign body ingestion damage. Small Pets Need Warmth Too! Animals kept in cages/pens such as rabbits, gerbils, hamsters and guinea pigs feel the cold too. If they are outdoor pets they are exposed to all types of weather and need additional insulation and protection in the cold weather. We advise moving them to more protected and sheltered places in the severe weather and if possible into a conservatory or porch where they can stay out wind, rain, frost and snow. If they have to remain outside move them to a corner where they have added shelter and make sure rain and snow can’t get in. By putting a tarpaulin over the hutch it will help to insulate them but make sure it is securely fastened as the nose of it flapping in the wind could cause extreme stress. Remember that they can’t be kept covered up and still need periods of daylight and exercise so please make sure they have access to a run as well as the covered hutch. They will need extra bedding and sleeping sacks which allows them to bury themselves away. Check bedding regularly to make sure is always dry and clean. Keep their water fresh and prevent it from turning into an ice block by wrapping the water bottle up. Most importantly check on your little pets daily and more frequently in severe weather! 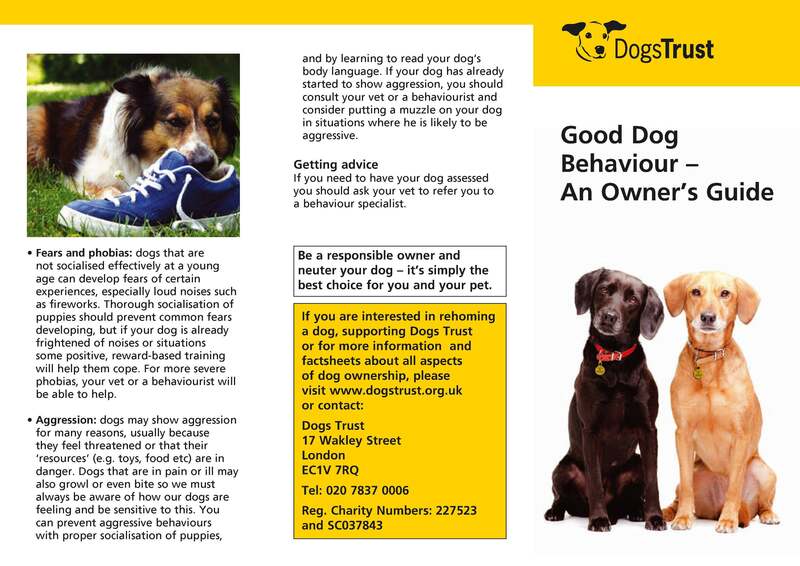 We are always here to provide advice or visit pet charity websites for additional tips. 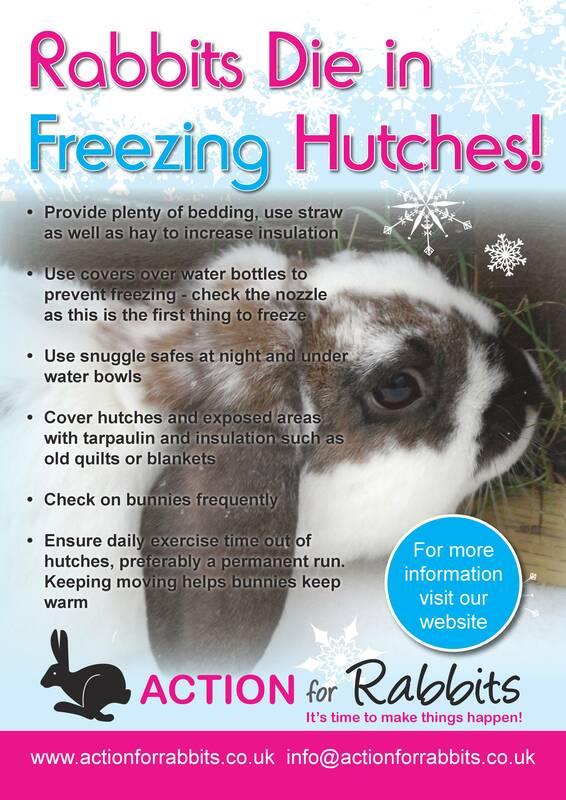 Rabbits Die In Freezing Hutches! With the nights being cold and people tending to their own warmth, some of us forget about our hoppy friends. 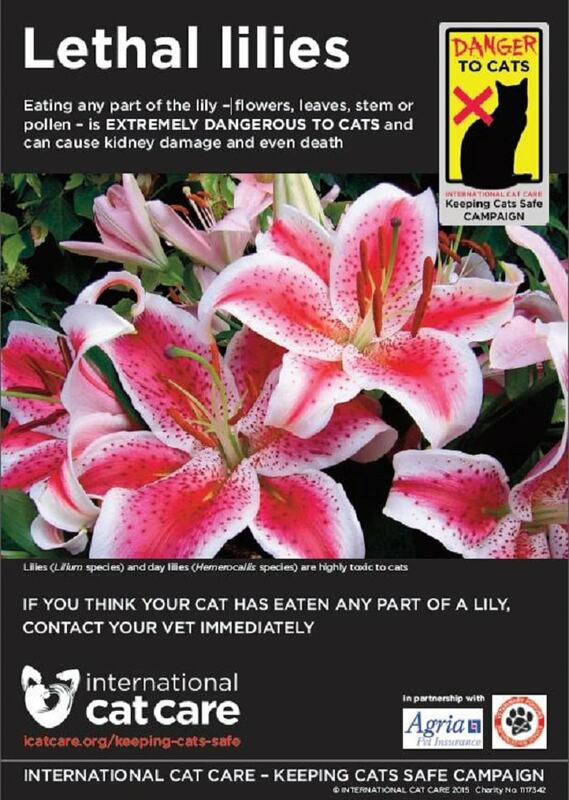 We highly recommend preventative health care for your cats. Cats hide symptoms of illness or pain very well and with regular health checks with our vets and nurses we can help you identify issues early on. This helps your cat live a happier life and may also save you money and emergency treatment in the long run. At Polden Hills Vets we always welcome our clients to ask questions or share your concerns at any time – we are always here for you 24/7! Keep your records we have for you and your cats up to date, especially important in case of an emergency. Make sure your cat is microchipped and your registered details with are kept up to date. It is so easy for a cat to go missing and we understand the heartbreak you as a pet owner would feel if your cat were to go missing. If your cat does get out, it is extremely important that he or she can be identified so that you can be contacted and your precious pet can be brought home. As part of our health check we check your cat’s teeth. Dental health is VERY important to his or her overall health. Just like with us, good dental health can be a cornerstone to their health. Dentals, which includes teeth cleanings and maybe extractions, has helped to improve our pet’s overall life span and quality of life. We are different to many veterinary practices where dental surgery is concerned. We have a dedicated dental suite fully equipped with top quality specialised equipment and take extreme care to make the dental treatment as pain free as possible. 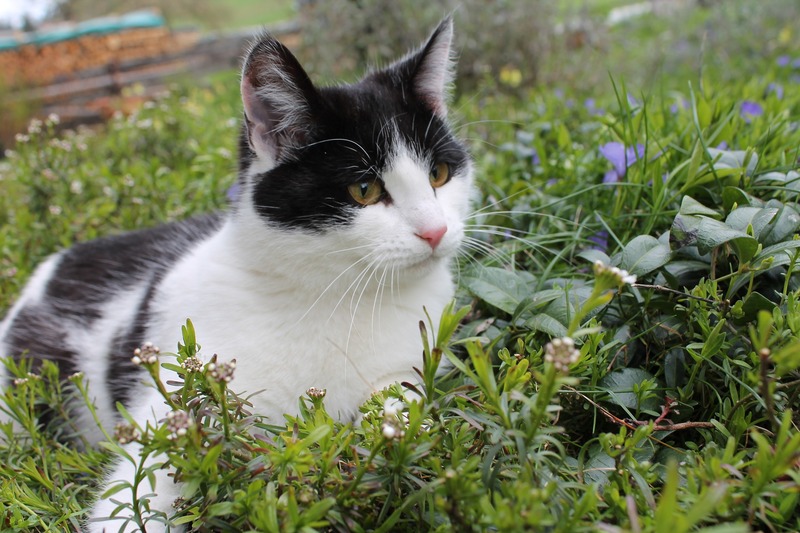 Neutering your cat is so important for many reasons; it can help to protect them from some diseases, they will feel less stressed without the drive to mate, and of course it will help to manage the hundreds of homeless cats left with charities. Keep vaccinations up to date to protect them from serious illnesses. Flea and worm infestations are common and can make your cat sick so we recommend treating them regularly. Trim their claws regularly. We are happy to show you how to do this or if you are uncomfortable doing it yourself make an appointment with our nurse for a pedicure. Provide cat scratching posts in their favourite spots – this helps prevent them for using your furniture as a scratching post! Play with your cat and keep them entertained; it helps them bond with you, prevents some behaviour problems, helps to manage weight and keeps them happy. Regular grooming is important to help reduce hairballs, great for bonding and relaxation (human and animal) and prevents matting from occurring. While grooming it gives you the opportunity to check for ticks, injuries, and notice other health symptoms. It is an exciting time to see spring starting to show signs of arriving. Everything comes alive after the colder weather and wildlife becomes more active again and those in hibernation awaken. 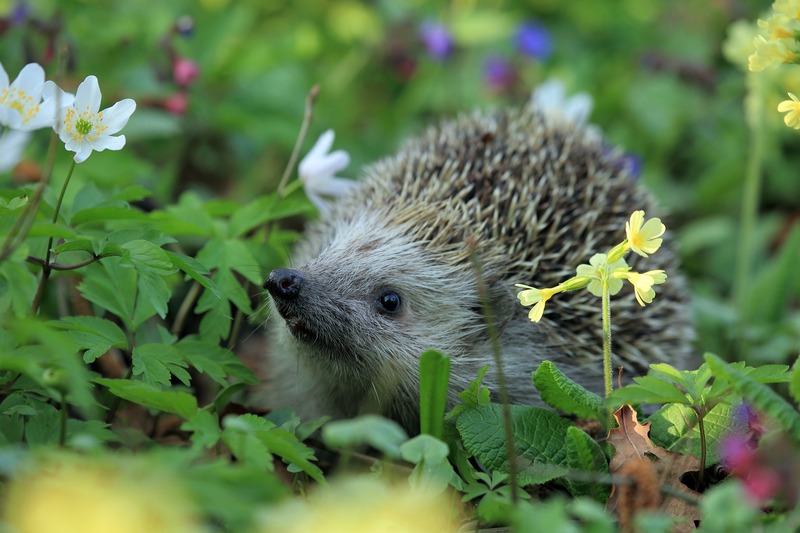 We feel motivated to get outside and do the garden spring clean-up—nice for us, but not for all the little creatures that have made a home in your garden! Putting fresh water out for birds and other creatures is vital to their survival. Many of you will have seen our waterfall and pond which attracts a variety of activity. Birds and other little creatures love shallow moving water where access is safe and easy. Feeding birds at this time of the year is very rewarding and it helps adult birds take care of their hungry young. There are many charities selling high quality bird food to attract a range of birds. Drop by our little garden to see our wild bird activity. Wild rabbits don't live alone they are social animals and live together in groups. Did you know that a pet rabbit living on its own can experience chronic stress as it suffers from boredom and loneliness. Just like us they need a friend! They eat, play and keep warm together. 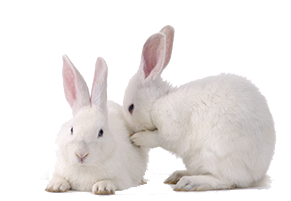 Rabbits groom each other which helps improve their general health. For example, they keep each other's eyes clean and this reduces eye problems. The PDSA provide a report on the annual survey done on the care of dogs, cats and rabbits and they reported that rabbit companionship is one of the most neglected of animal welfare needs. 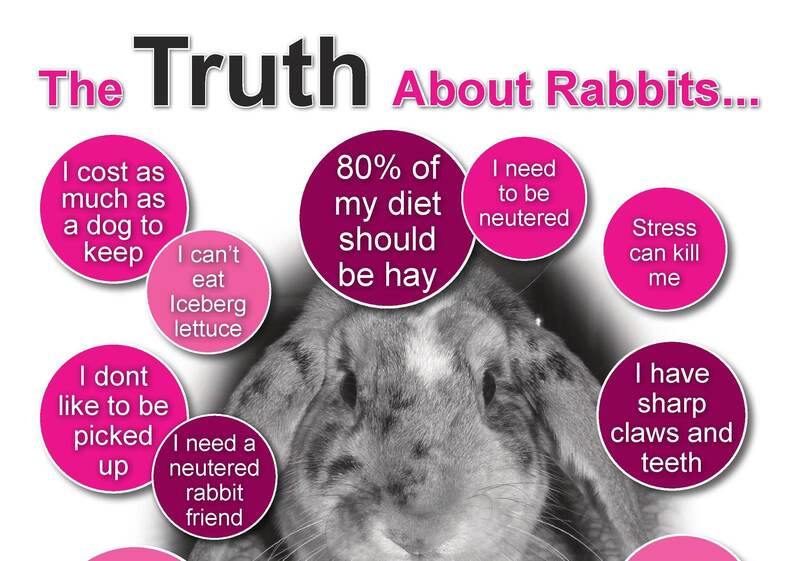 Many people buy rabbits from the pet store without knowing the full extent of their needs. To care for your rabbits you must have the right companion and environment. They need a lot of space and the little hutches frequently purchased for the rabbit are far too small. The links to charity websites below will provide more specific outlines of hutch and run space. They also need plenty of the right type of bedding which is replaced frequently. Soiled hutches can attract flies and the flies lay their eggs around a rabbit's rear end or in the faeces in the hutch. The eggs hatch into maggots which burro into the flesh of the rabbit feeding on the flesh! This condition is known as FLYSTRIKE. It is extremely painful for the rabbit and is usually fatal. Prevention is the key! Rabbits can suffer from dental disorders so providing the right type of food and veterinary care is an important part of responsible pet ownership. Rabbits have very complex and delicate digestive systems so speak to us about what to feed your rabbit. It is essential to maintain a healthy weight by feeding high quality balanced food and providing fresh water daily. 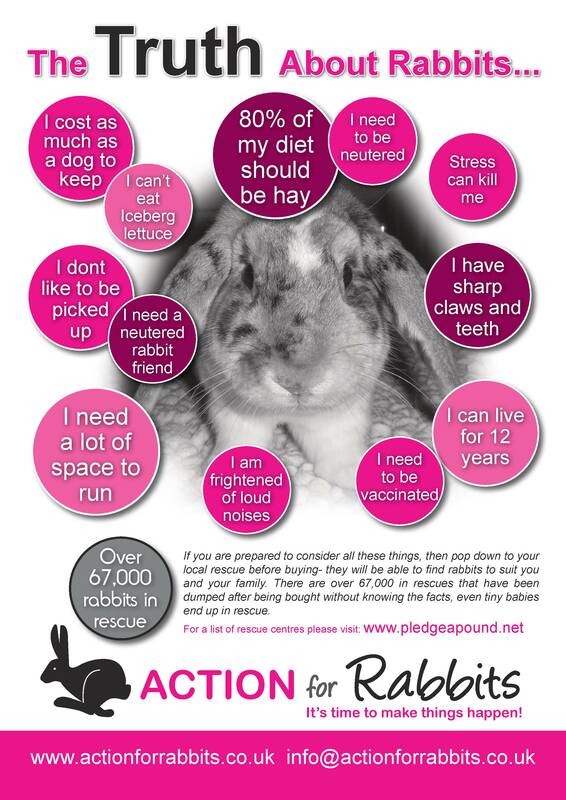 There is lot of good advice available from reliable sources so please take a moment to read up on how to be a kinder and more responsible rabbit owner. We recommend the following websites where you can find useful information and guidelines for the correct care and companionship for your bunny friend. 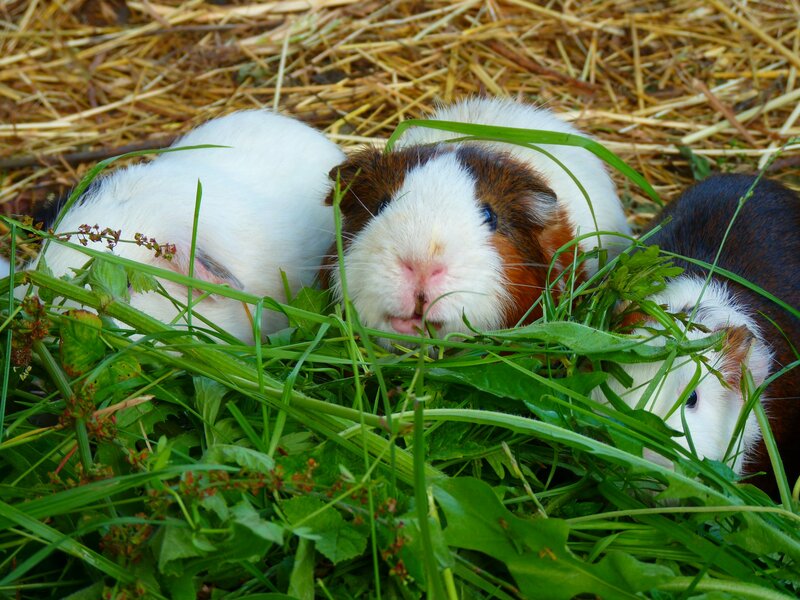 Please remember that as the weather starts to get colder, make sure that your outdoor bunnies and guinea pigs are kept warm. 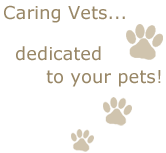 We are always here to discuss your pet's needs! Vaccinating your pets against certain diseases is very important as it prevents spreading of diseases, intense suffering and death. Please visit our MEDICAL-Vaccination page for more information about vaccinating your dogs, cats and rabbits. For more information about why vaccinating pets is so important please call us. 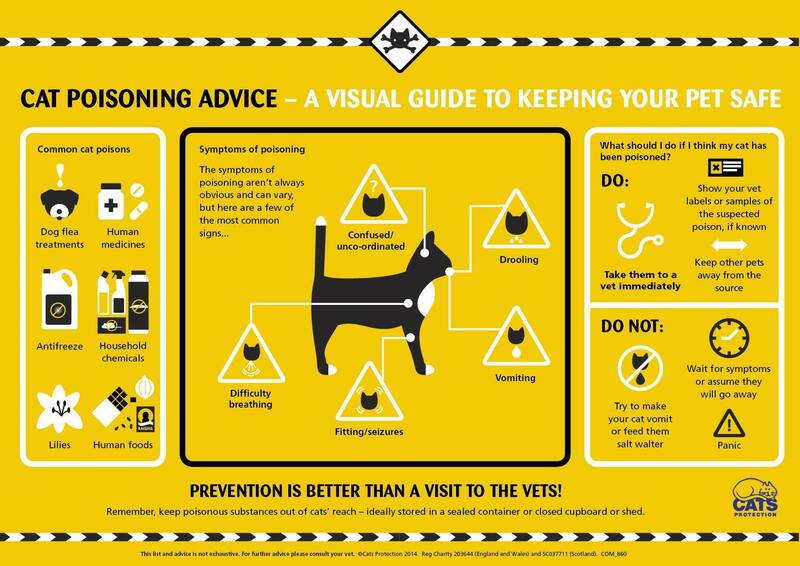 You may also find the RSPCA vaccination documents helpful. Beware – Chocolate can be hazardous to your pet's health! Chocolate is found in many homes and it's oh so yummy. 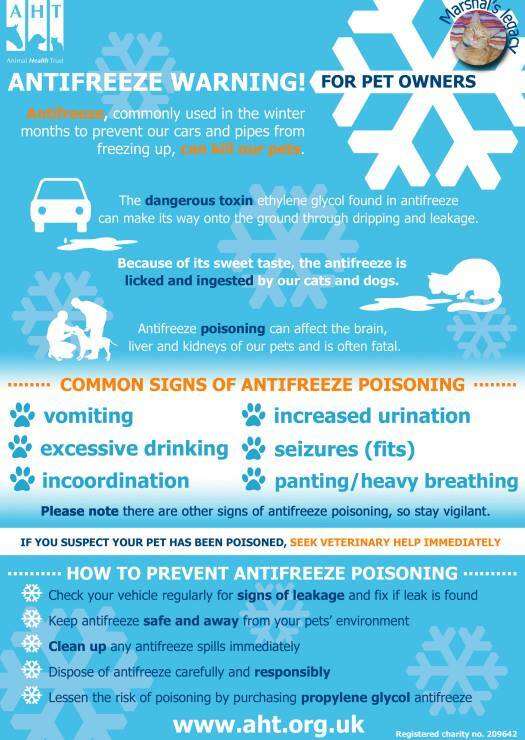 BUT, it can put pets at serious risk of poisoning. Chocolate contains an alkaloid called theobromine which is toxic to many animals. Dogs in particular must be watched carefully because of their tendency to eat things they shouldn't. Also watch that pets don't eat candy wrapping which can cause intestinal irritation and blockage. The most common signs of chocolate poisoning are diarrhoea, vomiting, panting, faster heart rate, restlessness, pancreatitis, and neurological problems. Please call us immediately if you think your pet has eaten chocolate! Make a note of where chocolate is hidden for treasure hunts so that none is left behind. Keep all chocolate high up and away from pets, preferably in the cupboard. Don't leave your chocolate unattended at any time. Promptly throw wrappers in the garbage out of reach of your pet. Foods that we eat are not always safe for your pet and some are poisonous to them. Here is a list of some one of the foods that are dangerous to pets. Even a small amount of alcohol is harmful. Even a tablespoon of alcohol consumed by a cat can cause brain damage and serious harm to the liver. 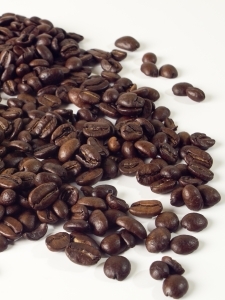 These drinks are high in caffeine causing heart palpitations, muscle tremors, rapid breathing and other serious issues. 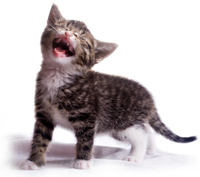 Cats are lactose intolerant and they cannot eat dairy products because they can cause diarrhoea and vomiting. 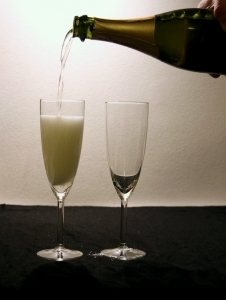 Don't give them milk unless it is specific cat milk which is available in pet stores. These can cause serious kidney failure. 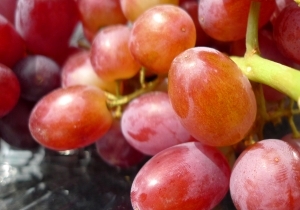 Dogs are not as fussy as cats so are more likely to eat them so always keep grapes and raisins out of reach. This might be a surprise but cats shouldn't eat tuna. It can cause digestive upset and if consumed on a regular basis may lead to a dangerous condition called steatitis (the body's fat becomes inflamed). 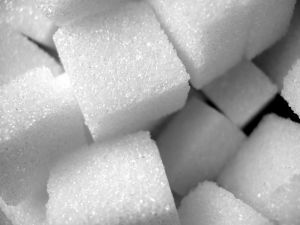 This is found in sugar-free foods and chewing gum. When a dog eats this they suffer from a serious drop in blood sugar which can cause convulsions, seizures, liver failure and in some cases even death. What do I do if my pet has eaten one of these foods? If you think that your pet has eaten these dangerous foods call us immediately at 01278 722088. We are always onsite to help you. It is helpful to figure out how much your pet has eaten because in some cases it might not be serious if the amount ingested was small enough but if it was a large amount they will likely require some treatment. 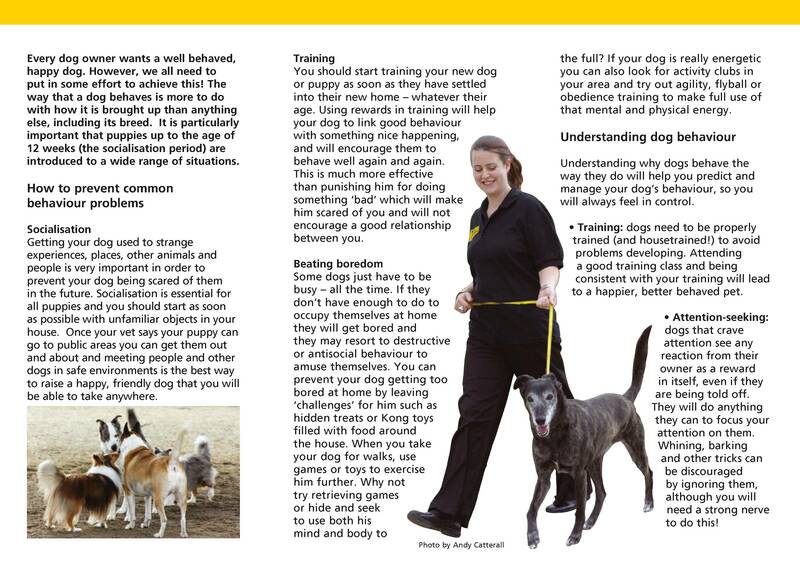 Pet behavioural problems can be a big challenge, both for finding the source and then stopping the bad behaviour. Here are some tips that can help. First, check for any signs of trauma or disease that could be causing your pet to act in an unusual manner. If you find something that needs attention, please bring your pet in to see us right away. Another important point is to look for any change in your pet's environment that could be causing him or her to feel stressed or neglected. 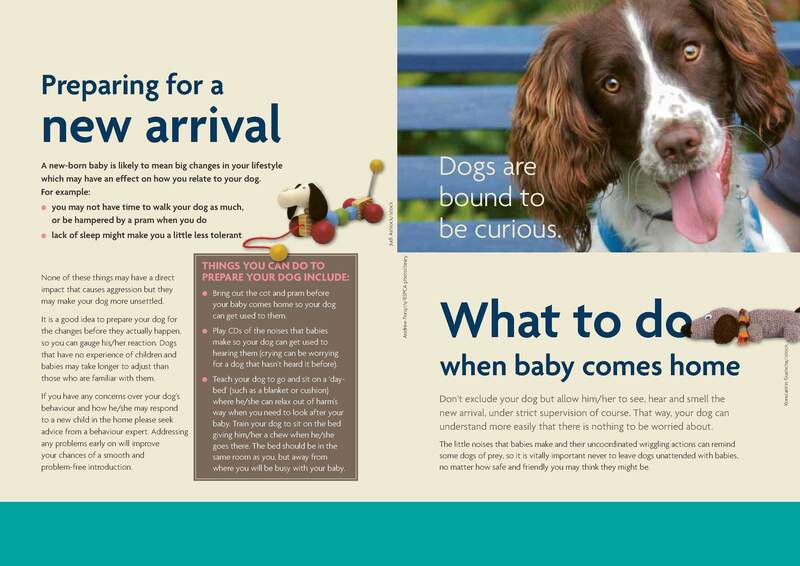 A good example of this type of problem is when a new pet or a new baby is brought into the household. For cats having problems with their litter box, some chemical cleaners in or near the litter box could be the cause. 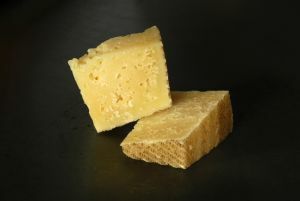 To a cat, these can sometimes smell like another cat's urine which can cause them to spray or urinate outside the box. Obviously, if your pet is hurt or ill, bring him or her in to see us as soon as possible. If your pet is stressed, try to relieve their stress any way you can, especially by giving them extra love and attention. Another idea we highly recommend is the use of Pheromone Diffusers. We use these diffusers in our clinic to help pets relax when they're in our care. For your convenience, we sell them as well. The Feliway Diffuser is for cats and the Adaptil Diffuser is for dogs. An idea at help solve the litter box problem mentioned above is to avoid chemical cleaners, especially bleach. To clean lightly soiled litter boxes, use very hot water and a scrubbing brush. For heavily soiled boxes, use non chemical based organic cleaners. Click here for more information about Robert. 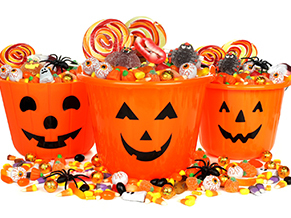 Halloween is fun for you as you dress up your children and go door to door collecting delicious treats! 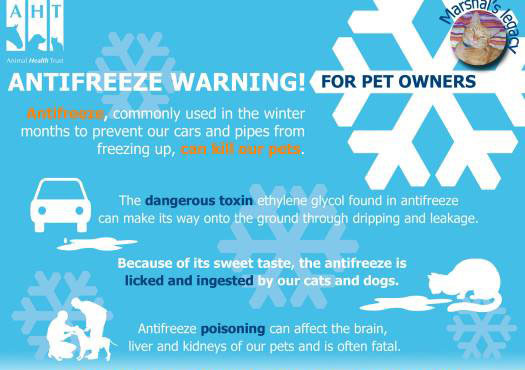 For pets it is not fun and can be potentially harmful! To a pet there are strangely (and often really scary) dressed people coming to the door and wandering around the streets making a noise. Then there is the tasty stash of sweets and chocolate around the house. Chocolate and sweets must not be given to pets. All forms of chocolate - especially baking or dark chocolate - can be dangerous, even lethal, for dogs and cats. The wrappers are often shiny, crinkly and attractive to pets and if ingested can cause a blockage. 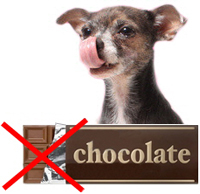 Learn more about chocolate on our section Beware – Chocolate can be hazardous to your pet's health. Pets should be safely confined. Halloween night is a busy time and the door will be constantly opening and closing with trick or treat visitors. Pets can escape into the night and as they will be frightened they could easily go missing. Small crowds of scary dressed strangers will be shouting loudly for their treats at your door. Animals don't understand this behaviour and it is frightening for them. 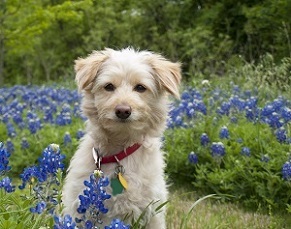 Dogs are protective of their owners and may become anxious and growl at innocent visitors. We recommend that the pets don't have access to the front door and it is best to keep them confined to avoid any problems. Keep pets inside on Halloween night. Sadly, cruel people have been known to tease, injure, steal, and even kill pets on Halloween night! Each year cases of cruelty are reported. If you see anyone acting suspiciously around a pet please call the authorities. Cats are particularly at risk - Keep them indoors. Make sure your outdoor cats are kept inside several days before and even for several days after Halloween. Black cats are especially at risk from nasty pranks or other cruelty-related incidents. Typically animal shelters do not adopt out black cats during the month of October as a safety precaution. Don't keep lit pumpkins and candles around pets. It creates a fun ghostly atmosphere but there is a risk of them burning themselves or knocking it over and causing a fire. Keep fire hazards in mind for Fireworks and Bonfire night as well! Remind your children about how to help pets during Halloween. Children will be excited at Halloween and might not know how loud or high pitched their voices are. Animals' hearing is so much better than ours so those little voices can be frightening and unsettling to pets. Remind them how to behave when visiting houses so they have a safe Halloween and don't unintentionally frighten the pets living there. It is almost November and that means firework season is nearly upon us. 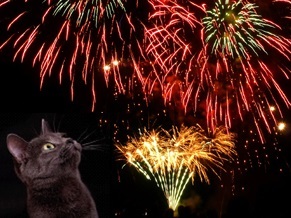 Many pets suffer from firework phobia and this can be an extremely stressful time of year. You can help them cope and stay safe. Preparation is the key! There are many things you can do to help make pets feel safe and more at ease— many of these are best started in advance to have maximum effect. 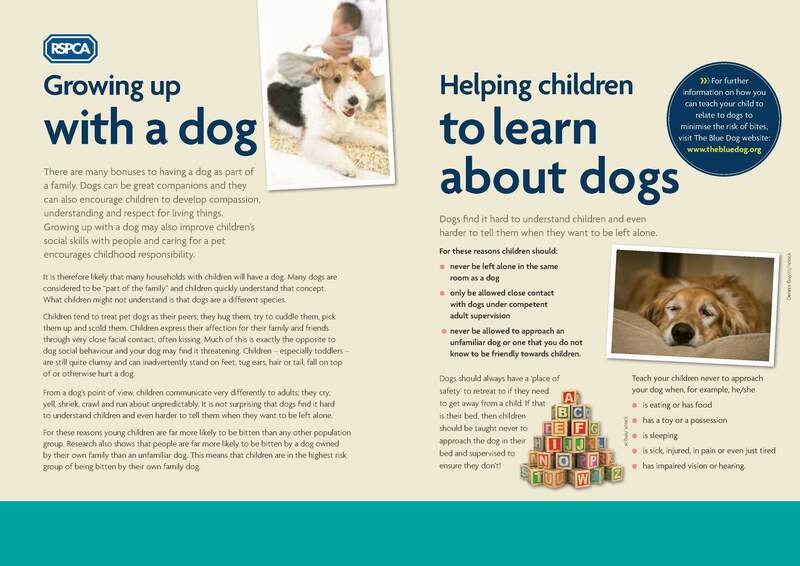 Visit our Pet Tips page and speak to us about helping your pet cope. Many pets are frightened by the loud, explosive noises and loud whooshing sounds that fireworks make. Pets that are afraid of noise (have thunderstorm phobias, startle with loud noises, hot air balloons, gunfire, etc.) can be severely affected by fireworks causing severe anxiety. Make sure all your pets are MICROCHIPPED so that if they do escape and get lost they will be quickly reunited with you. Keep your pet inside while festivities occur. Choose the most sound-proof room and if possible farthest from the noise. Keep the room dark and close all windows and curtains reduce the sound and night sky. It helps to add some calming background sound such as a fan, air conditioner, radio, TV, etc. This help to block out the fireworks sound. Provide your dog some entertainment as a distraction - a stuffed Kong treat works well or play games with them. Make sure your dog, cat, rabbit or any other type of pet has a place to hide. They need to feel they are in a safe place. Always walk your dog early in the evening before the fireworks are likely to begin. 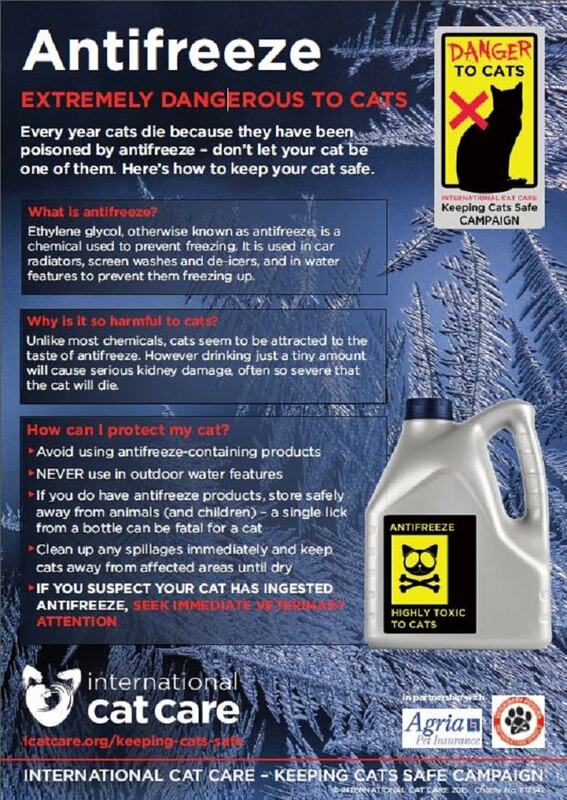 Use pheromone products Adaptil for dogs and Feliway for cats. We recommend these products and always use pheromone adaptors in our clinic to help calm your pets while in our care and have found it does help them relax. For more severe cases there are medications that can help them cope during fireworks. 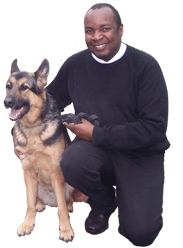 Speak to us about the best solution for your pet and their medical condition. When we think of fireworks we think of noise but there is another hazard with fireworks! Accidental firework poisoning when fireworks are ingested, thermal injuries from direct contact with a lit firework, or a blockage from the condensed cardboard are potential risks. Thankfully, most pet owners are aware of the potential dangers of fireworks but accidents happen and animals can become accidentally poisoned or injured. Hazardous chemicals: Fireworks contain hazardous chemicals such as colouring agents, dangerous heavy metals, sulphur and oxidising agents such as potassium nitrate. Clinical signs of firework poisoning include: Vomiting, drooling, tremors, seizures, painful abdomen, bloody diarrhoea, unable to defecate, loss of appetite, kidney injury, jaundice, bone marrow changes. Thermal injury: If your pet is exposed to a lit firework, it can cause burns to the face, lips, nose, eyelids, eyes or mouth. Pets should not be around lit fireworks. Blockage: The cardboard most fireworks are made of is very dense and if accidentally ingested can result in an obstruction. This is painful, potentially fatal and an expensive veterinary visit. Wishing you all the best keeping your pet safe and remember we are here on-site 24/7 to help you! pet the best care possible!